Design Team Member Nichola Battilana has been busy doing the bidding of her bossy band of fairies and has created a variety of Fairy Dust Bagatelle Boxes. They do, indeed; and magical as well! They’re fabulous! 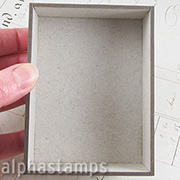 The boxes can also accommodate various sized bottles and vials such as the 12 Tiny Glass Bottles, 24mm Glass Bottle with Cork, Mini Inkwell Bottles, 2 Glass Bottles w Round Lid – 23mm Tall or the 3cm Tall Bottle with Cork. 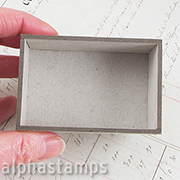 See the 4 smallest box pages for tips on which bottles fit those boxes. 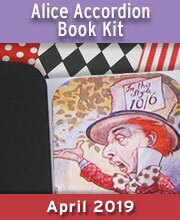 If you want to create your own bit of magic, Nichola has created a (New and On Sale!) 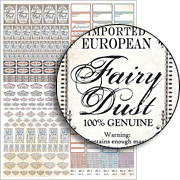 Fairy Dust Collage Sheet with lots of tiny labels for tiny bottles. Tea and crumpets are not required to check out the Fairy Dust Bagatelle supply list, but you may want to grab a cuppa to visit Nichola and view the video tutorial on her blog! 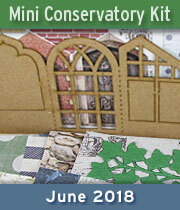 The kit this month can be used in so many different ways. 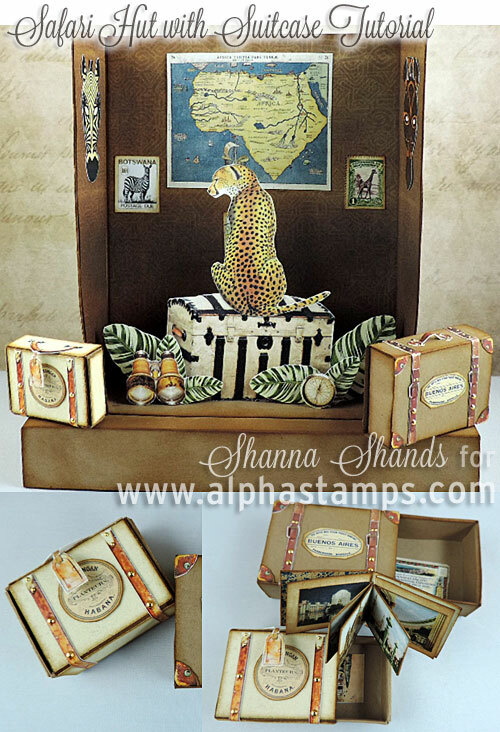 The little suitcase (or steamer trunk) strapping and hardware from the Vintage Travel Tags & Hardware Collage Sheet inspired Shanna to create tiny little suitcases (that open like matchboxes) — and thankfully Shanna provides a tutorial for how she made them. And those suitcases are really tiny! 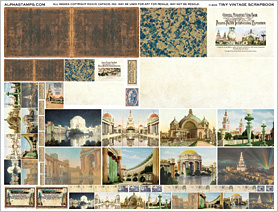 The scrapbook shown in the lower right of that photo is the smaller of the 2 sizes from the Tiny Vintage Scrapbook Collage Sheet. 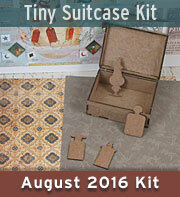 Shanna’s suitcase is just 1-1/2″ by 1-1/8″! 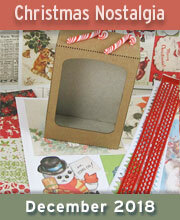 Here is the Supply List and see Shanna’s blog for more info and her tutorial! And I can’t wait to see the variety of projects during the rest of the month from the Design Team! 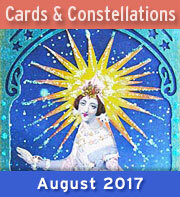 More New Goodies - All on Sale! Hooray for the Fairy Dust Bottles Giveaway! I’ll make a small coffee (or tea) shelf with tiny coffee packets and a coffee pot. April 9th, 2015 at 5:34 am. How adorable – I love the bottles and the fairy dust. April 9th, 2015 at 5:35 am. 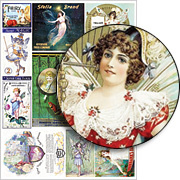 My 6 year old granddaughter LOVES fairies…I would make a shadow box depicting the 12 months of the year…each one showcasing a fairy with a holiday theme for the month. A miniature pumpkin in a mini wagon for November, a mini bottle with a potion label for October, a mini rabbit for Easter, etc. She would love it! April 9th, 2015 at 5:38 am. Love these. I would use them to design mini collage boxes for wedding table markers. April 9th, 2015 at 5:39 am. How can you still come up with even more wonderful ideas. Fairies are my special treat to myself and all that goes with them. Hope you pick me. Thank you for such great ideas. April 9th, 2015 at 5:45 am. April 9th, 2015 at 5:46 am. Oooh… I am having several thoughts- LOVE THESE! one is to cut a canvas and affix the box in the cutout for a 3D effect and paint a landscape for the little mouse/gnome/fairy house. Such neat stuff- and I love the little bottles. April 9th, 2015 at 5:48 am. I’d make Fairy-World Portals….I think it would be so magickal and fun to gift these to some special friends!!! April 9th, 2015 at 5:50 am. I love the fairy dust boxes!! !I think I would make something similar.Its to cute. April 9th, 2015 at 5:52 am. I love the fairy dust boxes! I know someone who would adore this so I would make one for her! April 9th, 2015 at 5:53 am. Fairies, elves and water babies, oh my. I would make fantasy and magical bottle collections! April 9th, 2015 at 5:54 am. 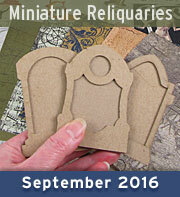 I’d make tiny shrines to the crafting gods and goddesses. Maybe one to each type of medium? A shrine to the Goddess of Beads. One to the God of Crochet. One to the Muse of Stitchers. The list could go on forever! April 9th, 2015 at 5:55 am. Oh my goodness,these are so cute! I recently found tiny dragons at a local craft store,and thought they would be adorable in a bottle or cork topped vial,which would look equally adorable in these mini boxes!!! The bottle alone is so tiny,it needs something to house it! Thanks for the opportunity to enter for the giveaway,and thank you for the wonderful ideas! April 9th, 2015 at 5:59 am. OMG I would love to win this fabulous collection of faery and pixie treasures! 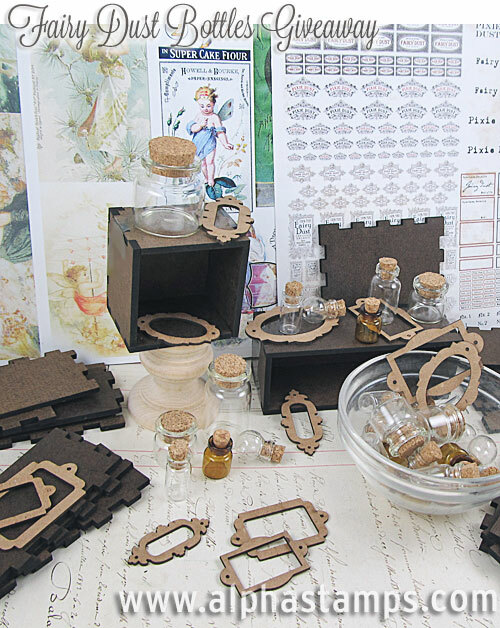 I would definitely make a special faery charm/medicine cupboard from the various components. April 9th, 2015 at 6:00 am. Awesome! I love the size of the boxes. April 9th, 2015 at 6:02 am. Definitely would use these in our fairy garden! April 9th, 2015 at 6:06 am. April 9th, 2015 at 6:07 am. Ok… I gotta win this one lol!!! I LOVE FAE!!! Fairies are beautiful! If I won I would make a forest theme with each box would have a fairy home with a theme for each! Fingers crossed!!!! LOL pick me pick me!!!! April 9th, 2015 at 6:09 am. April 9th, 2015 at 6:11 am. This I would love to get my hands on! 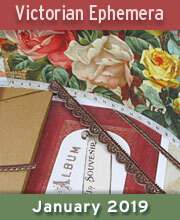 This is a darling giveaway! April 9th, 2015 at 6:12 am. I have some tiny frozen charlotte dolls just begging to be made into fairies who will live in these beautiful homes I would make from this giveaway. I would make mixed media collages/assemblages! I would probably use vintage photographs of people in the collages. I hope I win! April 9th, 2015 at 6:19 am. April 9th, 2015 at 6:20 am. I just love love these fairy dust bottles. What fun!! Thanks for the chance to win this fabulous prize. April 9th, 2015 at 6:27 am. …maybe little secret doors with surprizes behind them?! April 9th, 2015 at 6:31 am. What an amazing collection! 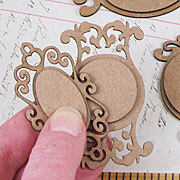 I would turn them into a vintage button and thimble mixed media group with old trim. April 9th, 2015 at 6:32 am. I would make art fairy dust for all my artist friends!!! Fun fun fun! April 9th, 2015 at 6:38 am. I love the fairy bottle idea so I would most likely do that. 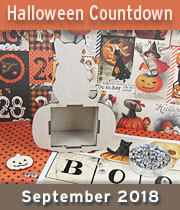 I would also make a Halloween themed box because that is my favorite holiday. April 9th, 2015 at 6:41 am. I love these cute boxes! I’d make a little shadowbox garden with the sweet fairies for a friend of mine who loves to garden. Thanks much for the chance to win your generous give away! April 9th, 2015 at 6:45 am. Why do you do this to me! So many ideas so little time. I think I would make them into table setting place cards. For at tea or birthday party! I am drooling over this giveaway. I would more than likely use the boxes to create miniature scenes. The artwork shown if jaw-dropping. April 9th, 2015 at 6:50 am. Another fabulous giveaway that I would love to win This fan amazing collection of fairy and pixie treasures I’ll be sure to put to good use! April 9th, 2015 at 6:55 am. My fairy garden could use some bagatelles. I would make little cabinets of fairy dust for my fairy dolls. April 9th, 2015 at 6:56 am. It just amazes me how you take ordinary objects and turn them into such magical things. April 9th, 2015 at 7:00 am. Send the Fairy Giveaway to me, please. April 9th, 2015 at 7:01 am. I love this…..I am a box freak…….love them. April 9th, 2015 at 7:03 am. 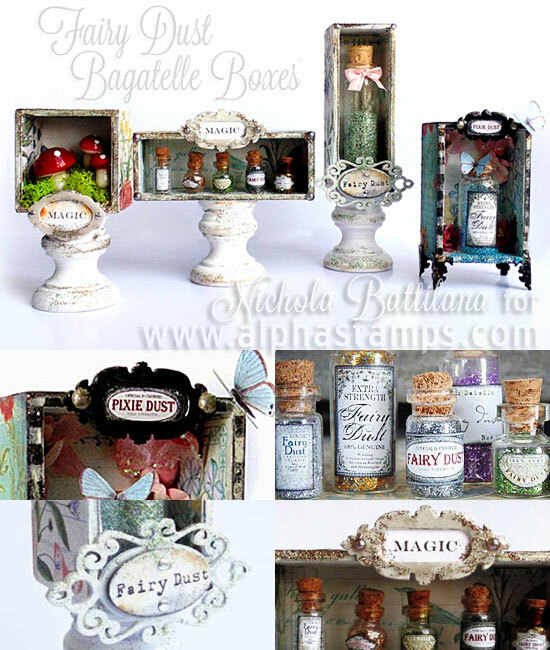 I hadn’t heard of bagatelle boxes.. it’s a great way to display fairy dust bottles and other tiny fairy treasures. April 9th, 2015 at 7:04 am. Love Shanna’s safari hut! And I think those bagatelle boxes would become display cabinets for the Fen and Fae Travelling Emporium. April 9th, 2015 at 7:05 am. Loving the teeny tiny bottles. Hope I have this giveaway all “BOTTLED UP”. April 9th, 2015 at 7:11 am. Love the bagatelle boxes – would make a mini magic potion box. April 9th, 2015 at 7:12 am. I’d turn the boxes into fairy garden beds of sheet moss, paper flowers and hidden amongst toadstools- the tiny bottles of fairy dust. Thank you for the giveaway! April 9th, 2015 at 7:13 am. 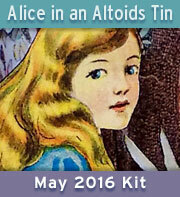 I would love to win this fairy kit! I would use the supplies to create store fronts for my fairy garden town that I made with my nieces! April 9th, 2015 at 7:15 am. 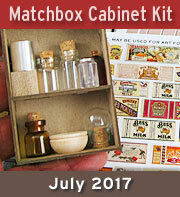 Love all the little bottles and the boxes would be fun to create little fairy scenes with tiny bugs, mushrooms, and flowers. April 9th, 2015 at 7:17 am. Wonderful kit! I make Halloween art year round, but I am getting a little tired of spooky stuff. I think these boxes would be great for Halloween; I have already completed some lighted mason jars with different masks inside. I think the fairies would look great displayed with them. April 9th, 2015 at 7:29 am. April 9th, 2015 at 7:49 am. UGH I can’t stand it these are so stinkin’ CUTE! I hope my fairy god mother sprinkles random.org with my name on it! April 9th, 2015 at 7:55 am. I’d make tiny fairy “how to” books with all the bottles and supplies included. So cute. April 9th, 2015 at 8:03 am. 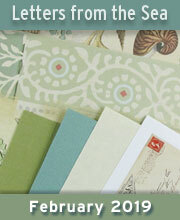 I love this giveaway-I would be thrilled to win. I would love to make something to hold all my little tiny miniature cat items. April 9th, 2015 at 8:09 am. I would make a series of tiny woodland scenes like the one with the mushrooms at the top of the page. Don’t eat the red mushrooms! April 9th, 2015 at 8:10 am. This fairy bottle set is officially my favorite giveaway package yet! I would use the boxes to create a street of shop front windows. April 9th, 2015 at 8:14 am. I made a miniature koi pond (with Koi!) out of clay. With the 3×4, I would have paper tole pagodas far off in the distant, a lovely geisha in contemplation at the pond-seated on a bench, with a seat made from a mini bookplate-surrounded by alpha stamps cherry blossom garland (of which I have much!) just to name a few. Ty for the chance to win, my creative friends!! April 9th, 2015 at 8:26 am. I love these little boxes! All kinds of ideas coming into my head! April 9th, 2015 at 8:27 am. What a great giveaway, I would have to make bottles of fairy dust for my fairies, and possibly an armoire to store them in. April 9th, 2015 at 8:37 am. Oh. Thank you for this giveaway. I want to make tiny wardrobes to Narnia. April 9th, 2015 at 8:40 am. I think I’ll do a green fairy apothecary and spa theme! April 9th, 2015 at 8:48 am. OMG SO cute! I would make them in to teeny tiny shrines for the fairy folk! April 9th, 2015 at 8:50 am. These are great! I would make a series of Halloween themed boxes such as black cats with potions and magical dust, to tombstones and skeletons with vials filled with magical dirt. April 9th, 2015 at 8:53 am. April 9th, 2015 at 8:55 am. I want to make a fantasy apothecary shop shadow box! April 9th, 2015 at 8:56 am. Oh so many fun and creative ideas are swirling around in my head…hope I win this giveaway, for sure! April 9th, 2015 at 8:59 am. I have of Great Niece who swears that fairies live at my house as I keep her up today on their comings and going oh the joy of having fairy boxes added to our magical moments what a wonderful and happy thought! April 9th, 2015 at 9:09 am. 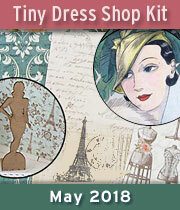 Just love the embellishments with this great giveaway. April 9th, 2015 at 9:15 am. Great boxes and I love love love fairies. I would put pictures of family with little fairies sprinkling dust on them to make my loved ones even more special then they already are. April 9th, 2015 at 9:29 am. What a spectacular kit, I believe in fae! I adore this giveaway! Thank you for the opportunity to win. I’m keeping my fingers crossed! April 9th, 2015 at 9:31 am. It’s WONDERFUL!!! I would love to have this kit! April 9th, 2015 at 10:06 am. I always love to get your giveaway info. You have such inspiring ideas! April 9th, 2015 at 10:10 am. April 9th, 2015 at 10:20 am. April 9th, 2015 at 10:23 am. If I won, I would have to send the boxes to my sister so that she would have enough boxes to complete her 12 month holiday fairy themed shadow box. I’d love to see what she would come up with! April 9th, 2015 at 10:32 am. I would make mermaid fairy boxes using lovely blues and greens with a pinch of salmon and pink. April 9th, 2015 at 10:56 am. Fabulous giveaway! With all the bottles and lables and boxes I would make a Halloween apothecary! April 9th, 2015 at 11:03 am. I just love these cute ideas. I have a very healthy obsession with little boxes that started in 3rd grade and boxes scatter every room of my house. I always find all sorts of cool goodies in them. I definitely cant wait to make something with these! April 9th, 2015 at 11:11 am. April 9th, 2015 at 11:13 am. I would make a beautiful cabinet to hold fairy dust. 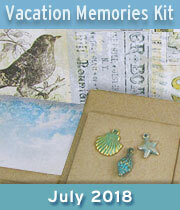 I would also make tiny shadow boxes full of fairy magic for my 5 granddaughters! Beautiful giveaway, thank you! April 9th, 2015 at 11:40 am. I would clip the bagatelle boxes together and make a storage organizer. Paint them with chalk paint. April 9th, 2015 at 11:51 am. 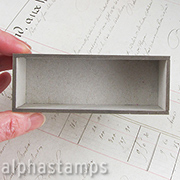 I would just love to put these bagatelle curio boxes with the little vials (love the ink shaped vial)all fitted into a shadow box. The theme would be perfumes or a French perfume boutique & I would put in the gorgeous little perfume trial bottles that my great grandmother used to receive from the fancy department stores. Those were the days when they waited on you as if you were a perfect lady! Adding the new vials with hand made fake perfume labels to fill up the remaining spaces. Imagine all those bagatelles fully covered with small printed beautiful papers and teeny velvet bows wrapped around the bottle necks, and, and, well imagine! April 9th, 2015 at 11:55 am. Love the fairydust bottles! Awesome giveaway! April 9th, 2015 at 12:02 pm. OMG! Great giveaway!! 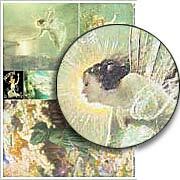 The Bagatelle boxes will fantastic fairy shadowboxes. April 9th, 2015 at 12:11 pm. 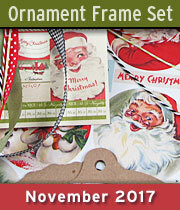 I would love to make some of the “fairy dust” holders. What a wonderful group! April 9th, 2015 at 12:26 pm. Beautiful! Would be a great gift for my granddaughter. April 9th, 2015 at 12:33 pm. April 9th, 2015 at 12:35 pm. April 9th, 2015 at 12:44 pm. Super cute! My two year old daughter would go nuts for fairy dust bottles!! The ‘sleep fairy’ has been visiting and leaving sequins and presents! So much fun! I just need to find time to make them! Good luck everyone! April 9th, 2015 at 12:56 pm. My fairies are demanding new houses!!!!! April 9th, 2015 at 12:57 pm. These are adorable-I would make a mini mermaid scene. April 9th, 2015 at 1:44 pm. April 9th, 2015 at 1:48 pm. Pixie dust forever! Thank you again! April 9th, 2015 at 1:53 pm. Is the fairy dust lucky!!! April 9th, 2015 at 2:13 pm. Oh my, so many boxes…so little time. Too many ideas to list. I LOVE THESE!!! Please and thank you. April 9th, 2015 at 3:38 pm. I love these boxes. How is it that each new project/product is something I NEED to have? I just finished dressing a fairy doll, and would use the boxes to house her and some of her goodies. April 9th, 2015 at 4:01 pm. Loved Nichola’s tutorial!I would use the boxes as the special place for the tooth fairy to keep the teeth she collected (from my granddaughters).In the little bottles with some fairy dust, of course. April 9th, 2015 at 4:22 pm. I love miniatures, shadow boxes and fairies. April 9th, 2015 at 4:35 pm. So much fun things in this giveaway. Who does not like fairies? April 9th, 2015 at 4:47 pm. I would make fairy houses for my garden pots. April 9th, 2015 at 4:55 pm. I have been waiting to make a shadowbox piece called, “digging in the dirt,” which has to do with memory and it’s psychological impact. As for the other boxes, I would use them to organize my studio until inspiration stuck. The frames I am likely to use as stencils. The thickness of the chipboard will hold its’ weight thus allowing them to be used repeatedly for the kinds of media I use in my work. (Which are rich and varied.) If I were forced to make a decision RIGHT-NOW about incorporating them into something permanent, I would use them as windows, probably in cityscapes. I love how down to earth and hearty these items are. Because they’re such raw materials, I could really use them for anything. I love working with and on wood, which has the same sort of hearty structure as these boxes. This is a giveaway that I’d love to win. Please count me in. April 9th, 2015 at 5:01 pm. Now I will finally be able to organize and display all those piles of fairy dust that have been accumulating! April 9th, 2015 at 5:07 pm. I love the fairy boxes. What fun! April 9th, 2015 at 5:12 pm. I would love to do a Cabinet of Curiosities. Maybe creating with little mini scientific and biologic treasures. That would be really fun. April 9th, 2015 at 5:17 pm. April 9th, 2015 at 5:38 pm. April 9th, 2015 at 5:46 pm. Oh my what a lovely package of fairy goodies! April 9th, 2015 at 5:50 pm. For my granddaughter’s 16th birthday, I am in the process of making one regular size cigar box into a standing clock and a small cigar box (4×5″) to stand in front of the larger box/clock on which to seat the “Time Flies” art doll I have made from Barbara Willis’ pattern. Both boxes will open and have shelves and smaller boxes in them. I hope she will use it to store her small treasures. Thanks for the chance to win some of your great goodies. April 9th, 2015 at 6:51 pm. I would love to win this one ! I would make fairy scenes and scatter the bottles around as if the fairies were busy collecting the dust it would be so magical!!!! So fun !! April 9th, 2015 at 7:20 pm. I <3 these so much. 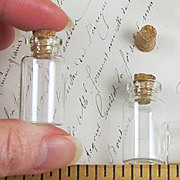 I would love to make a mini study filled with books bottles and clutter for fairies or borrowers. April 9th, 2015 at 7:24 pm. I am making a fairy garden and home that these would be perfect in. Hope I win! April 9th, 2015 at 7:41 pm. 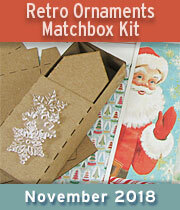 This is a great package, perfect for shrines! April 9th, 2015 at 8:07 pm. April 9th, 2015 at 9:28 pm. 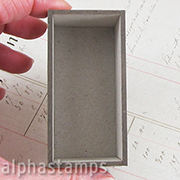 Love love love these darling little boxes. 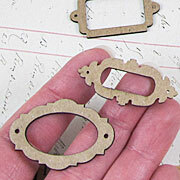 If I won (but I probably won’t) I think I’d have to try a steam punk flavored design. April 9th, 2015 at 9:44 pm. i sweat glitter but I love fairy dust! April 9th, 2015 at 11:03 pm. I love the bagatelle boxes. 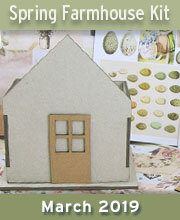 I’d make vignettes sculpting paper flowers and insects. April 10th, 2015 at 2:25 am. 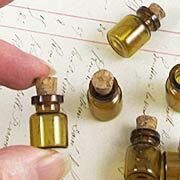 I just love the tiny bottles…..luv potions come to mind! April 10th, 2015 at 4:08 am. OMGosh how fun!! I would absolutely make two or three of these along with tiny fairies to sit in with the special bottles of fairy dust! I love this giveaway! April 10th, 2015 at 4:14 am. I love fairies! I would make a fairy shadowbox for my desk so I could enjoy it all day long! April 10th, 2015 at 4:34 am. the fairy dust bottles are adorable! I think I will make fairy dust bottles for my daughters-for sleeping dust to help them when they can’t fall asleep at night! April 10th, 2015 at 4:36 am. I love fairies! I’m making a moss covered fairy garden outside with the little bench you have. I would make make little fairy scenes. Each scene featuring a different fairy and different flowers that they would be tending. I would paint them with light chalk paint and create a small “pond” in the longer box with Lilly pads and little frogs hopping off in mid air. April 10th, 2015 at 4:46 am. Love those little bottles and all your miniature supplies. April 10th, 2015 at 5:36 am. Oh the possibilities are endless! 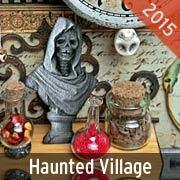 I think I would make an assemblage scene of curiosities! April 10th, 2015 at 9:42 am. My sister’s birthday is coming up and she loves fairies. I’d love to make her a fairy bagatelle box! April 10th, 2015 at 10:29 am. What a gorgeous assortment of goodies! I would love to make a tiny Tinkerbelle display for my niece, who adores Peter Pan. April 10th, 2015 at 10:36 am. hmmm. Think I’d make the mad hatters tea party table in the woods!!!! April 10th, 2015 at 12:00 pm. Wonderful new projects and a great giveaway, thank you so much! April 10th, 2015 at 12:34 pm. Just wonderful and magical. My fairies would love all those goodies. April 10th, 2015 at 1:24 pm. Who doesn’t love fairies?? Thanks for the chance to win this great giveaway!! April 10th, 2015 at 1:43 pm. I would put all the boxes together and make a fairy store filled with all the little things fairies love and close it with a garden gate. What fun. April 10th, 2015 at 2:48 pm. Love these! 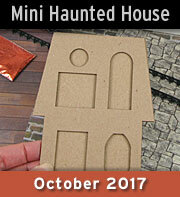 My first thought for projects would was mini Halloween shadow boxes for my sister. It’s her favorite holiday and they’d fit in all the small spots among her other decorations. April 10th, 2015 at 4:25 pm. April 10th, 2015 at 5:14 pm. I have some teeny tiny gnomes that are about an inch tall. 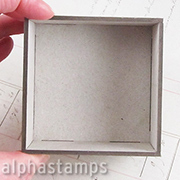 These would make wonderful tiny shadowboxes! April 10th, 2015 at 6:22 pm. April 10th, 2015 at 6:53 pm. The tiny suitcases are so neat. 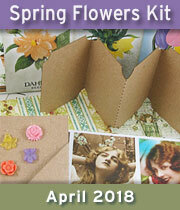 I think I’d arrange some Spring-y dried flowers in the box with a gate in front. April 10th, 2015 at 7:13 pm. I’m thinking tiny little libraries with tiny books. April 10th, 2015 at 7:18 pm. I love these boxes. 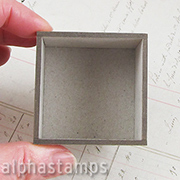 I would use them to make mini shadowboxes. April 10th, 2015 at 8:35 pm. April 10th, 2015 at 10:47 pm.